A blackberry puree from Oregon's Willamette Valley, used in making fruit beers or in the winemaking process. A blueberry puree from Oregon's Willamette Valley, used in making fruit beers or in the winemaking process. A raspberry puree from Oregon's Willamette Valley, used in making fruit beers or in the winemaking process. A sweet cherry puree from Oregon's Willamette Valley, used in making fruit beers or in the winemaking process. A peach puree from Oregon's Willamette Valley, used in making fruit beers or in the winemaking process. An apricot puree from Oregon's Willamette Valley, used in making fruit beers or in the winemaking process. Blood Orange Puree, 49 oz. A blood orange puree made with no additives or preservatives, used in beer or in the winemaking process. 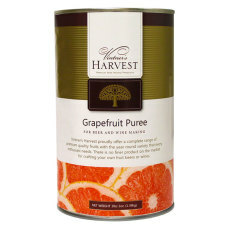 A grapefruit puree made with no additives or preservatives, used in beer or in the winemaking process. 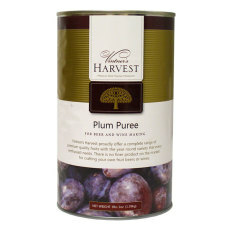 A plum puree made with no additives or preservatives, used in beer or in the winemaking process. Tart Cherry Puree, 49 oz. A tart cherry puree made with no additives or preservatives, used in beer or in the winemaking process. 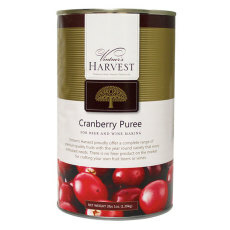 A cranberry puree made with no additives or preservatives, used in beer or in the winemaking process.